Our elderly pre-war Aga finally made it into print back on 17 May. 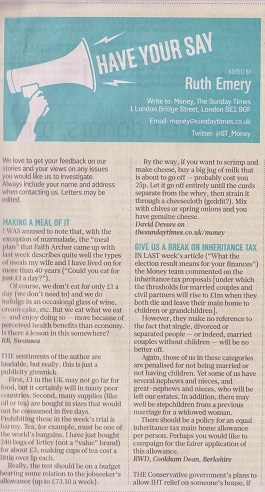 The photo was used to illustrate the letters page of the Sunday Times Money section, after some readers wrote in about my article on Live Below the Line, when I fed myself on £1 a day for 5 days to raise funds for Unicef and awareness of global poverty. This is the original article, “Could you eat on just £1 a day?“, although I’m afraid its behind a paywall. One of the commentators may not have thought much of Live Below the Line, but he did give helpful advice about making cheap cheese! 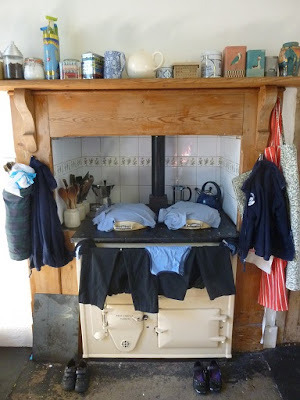 After this starring role, afraid it’s now back to the day job for the Aga. 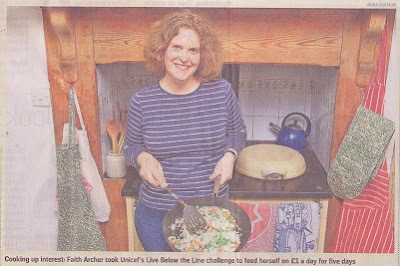 I did Live Below the Line from 26 to 30 April, but the campaign continues until 30 June, if you might consider supporting my attempts to feed myself on £1 a day for 5 days by donating to Unicef, the world’s leading organisation for children.